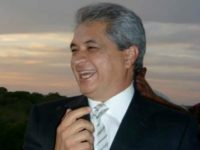 Mexican law enforcement agents arrested a former top official with the Tamaulipas government in the border city of Matamoros on state embezzlement charges. That official is also a fugitive in Texas where he faces multiple charges including money laundering and bank fraud. CIUDAD VICTORIA, Tamaulipas — Un comando armado entro an un rancho propiedad de uno de los prestanombres de un ex-gobernador ligado al crimen organizado para ejecutar al vaquero y matar a 15 caballos de raza fina. 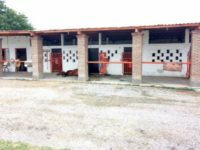 CIUDAD VICTORIA, Tamaulipas — A team of gunmen stormed a ranch owned by one of the close associates of a former governor linked to organized crime to execute a hand and kill 15 high-value horses. REYNOSA, Tamaulipas — Mexican state authorities arrested a former governor after the United States accused him of money laundering in Texas and accepting cartel bribes. Muchos de los principales líderes de México están vinculados a los violentos cárteles de la droga que invaden su país. A medida que México se desliza cada vez más hacia un fallido narco-estado, los vínculos de los altos políticos con los cárteles de la droga posiblemente ayudan a explicar el por qué. 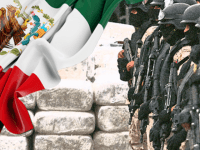 Many of Mexico’s top leaders are linked to the brutal drug cartels overrunning their country. 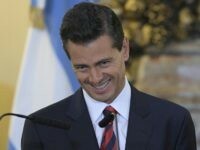 As Mexico slips further into a failed narco-state, top politicians’ links with drug cartels possibly help explain why. A joint news release issued by U.S. Attorney General Jeff Sessions and his counterparts in Mexico confirm a Breitbart Texas report about where a Mexican governor accused of cartel ties will stand trial. Police in Guatemala arrested a second former Mexican governor just days after authorities arrested another Mexican fugitive cartel-linked governor in Italy. 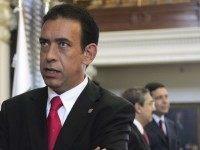 Guatemalan police arrested the fugitive governor on organized crime and embezzlement charges. A cartel-linked fugitive Mexican governor who continues to be on the run is now facing additional charges after authorities unsealed a new indictment. 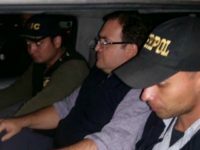 Las autoridades mexicanas afirman que no estuvieron de acuerdo con la futura extradición a Estados Unidos de un gobernador fugitivo buscado en Texas por cargos de narcotráfico y lavado de dinero. Mientras el gobierno de Estados Unidos ha solicitado al gobierno italiano su extradición, México sólo ha solicitado información sobre su ubicación. 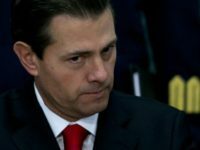 Mexican Leaders Caught Lying Again in Cartel Extradition Fight with U.S. Saving face, Mexican officials are claiming they did not agree to the U.S. extradition of a fugitive governor wanted in Texas for drug trafficking and money laundering charges. While the U.S. government has requested from the Italian government his extradition, Mexico has only requested information as to his location. REYNOSA, Tamaulipas — After erroneously taking credit for the arrest of a fugitive governor, Mexican officials are backing away from their extradition claims against the United States. 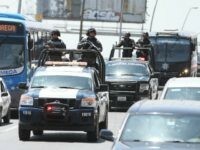 REYNOSA, Tamaulipas – Las tensiones diplomáticas han surgido entre el gobierno mexicano y el de USA al tratar de proteger a un político corrupto de la extradición hacia Estados Unidos, donde enfrenta cargos por narcotráfico y lavado de dinero. 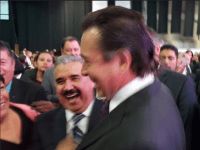 REYNOSA, Tamaulipas — Diplomatic tensions have arisen over the Mexican government trying to keep a corrupt politician from extradition to the U.S., where he is facing drug trafficking and money laundering charges. A fugitive Mexican governor singled out as a surrogate for drug cartels has been arrested in Italy. A Mexican socialite is currently in U.S. custody facing federal money laundering charges for her alleged role in helping a former Tamaulipas governor move millions in bribes and embezzled funds into Texas. The case points to a larger conspiracy where key members the upper echelons of high society in that state appear to have taken part in laundering funds for corrupt politicians. 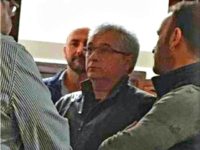 MONTERREY, Nuevo Leon — State authorities authorities have arrested a man wanted by the U.S. Department of Justice for his role in laundering millions in cartel funds and bribes for a fugitive Tamaulipas governor. The arrest was part of a joint operation between Tamaulipas and Nuevo León. Hours after the arrest, federal authorities in Mexico released him claiming they did not have a warrant. Two Mexican border state officials and four U.S. businessmen have pleaded guilty to demanding and receiving millions in bribes to have Mexican government planes be stored and serviced in Texas border cities. 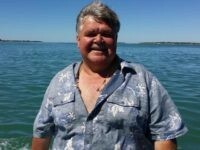 The Mexican government has been shamed into offering a cash reward for information leading to the arrest of a former governor of the border state of Tamaulipas who is considered a fugitive by the U.S. Department of Justice. Mexican politicians are calling out that country’s government for their lack of action in searching for two former governors who are wanted by the U.S. Department of Justice on money laundering and drug charges. The politicians are asking the Mexican government to offer a reward for their capture. 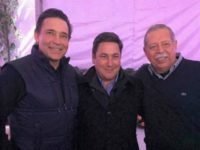 MATAMOROS, Tamaulipas — The Tamaulipas state government spent millions in providing state police officers as personal bodyguards for two former governors who are wanted by the U.S. Department of Justice for their alleged roles as surrogates to Mexican cartels. Uno de los periódicos más grandes de México, El Universal, trato de defender a un candidato a gobernador de un estado fronterizo mexicano que está siendo investigado por lavado de dinero. El medio de comunicación combinó dos asuntos separados en una historia que resultó en un artículo de naturaleza errónea y que proporciona información inexacta. One of Mexico’s largest newspapers, El Universal, rushed to defend a Mexican Border state gubernatorial candidate who is being investigated for money laundering activities. 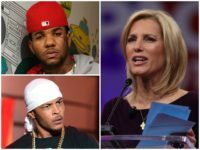 The news outlet conflated two separate issues into one story resulting in an article that is misleading in nature and provides inaccurate information. 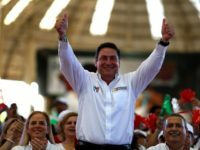 A Mexican gubernatorial candidate is the target of a money laundering probe by U.S. federal authorities in connection with a series of shell companies in Panama. The companies were exposed by the document leak known as the Panama Papers. The Mexican border state of Tamaulipas has a history of demanding cash bribes from drug traffickers in exchange for keeping law enforcement away and letting them cross ton-quantities of drugs through the state and eventually into America. Witnesses say the cartel bribes financed political campaigns for the political elite in the state. 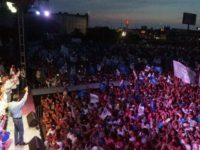 As the Mexican border state of Tamaulipas prepares for a heated gubernatorial election, the country’s ruling party has tried and failed at shaking their image of corruption and their ties to drug cartels.